Saturday, April 27 from 11 a.m.-5 p.m. Celebrate the shore as we discover cool coastal animals and artifacts like whales, sea turtles, ÿsh, crabs, and even tiny plankton during this interactive touch and tell program. Tours will also be given of the historic Seabrook-Wilson House, which dates back to the early 1700s. Beautiful flowers are back in bloom. Discover this charming park’s floral beauty, hidden places, and vibrant native plants. Find out how to become an earth-friendly gardener. Join a park system naturalist for a leisurely walk as we look for returning birds, wandering wildlife, emergent buds, blooming wildflowers and other fun sights of spring among the many acres of wetlands and woods around Freneau Woods Park. Binoculars provided. Tours depart approximately at 11 a.m., 1 p.m., 2:30 p.m. & 4 p.m.
See snakes & reptiles during a family-oriented show that gives you the chance to watch live and exciting animals and nature artifacts found in New Jersey. 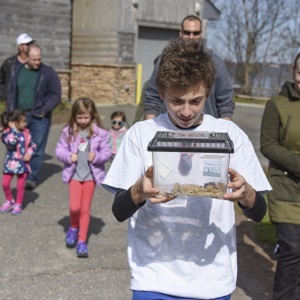 There will also be freshwater pond creatures on view and an opportunity to see kid friendly interactive exhibits inside the environmental center. Explore the woods and wetlands around the Reservoir. 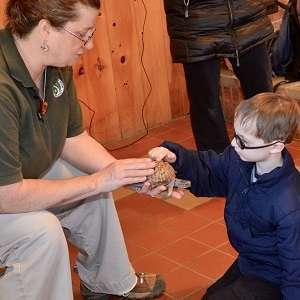 There will be live animal shows featuring reptiles and amphibians, which are often misunderstood animals, and short Park System naturalist-led walks. Plus enjoy the sights and displays of our beautiful environmental center. Live animal shows take place at: 11:30 a.m., 1 p.m., & 3:30 p.m.; and nature walks at 12 p.m. & 4 p.m. Improve your understanding of our ocean and have fun creating some ocean-friendly crafts. We will fuse both art and nature together to enhance our imaginations and explore the mysteries of our Blue Planet.